SMART goals are far superior to those generic resolutions everyone sets each new year. Why not try something different this year and skip the resolutions? Resolutions tend to be vague and therefore lack follow through. You may go strong for a month or two but then you run out of steam because you don’t have a plan. SMART goals are plans to get you from point A to point B! 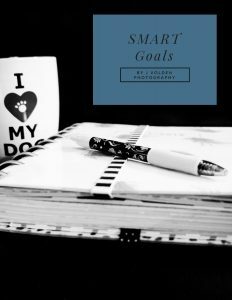 What is a smart goal? Smart isn’t just a way to describe the goals, it actually is an acronym. It stands for Specific, Measurable, Achievable, Relevant, and Time. Why should you do a SMART goal over a resolution? Most people make too many resolutions or too general of resolutions. You need to start small and change your habits, which most resolutions aren’t set up for. When you have too many goals or too general of goals you get stuck. It’s too hard. I’m not seeing changes. Start small. Make realistic goals. Be patient. Changing your habits (usually the bad ones) takes time and energy. You need to create a roadmap and SMART goals will help you get there. Each part of the goal helps set you up to actually achieve your goal. Let’s take a closer look at the SMART acronym. 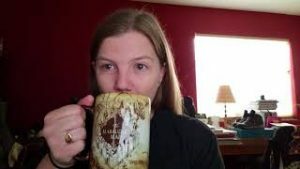 S – Specific – What is your specific goal? M – Measurable – How will you track your goal? A – Achievable – Can you accomplish this? R – Relevant – Why do you want to do this? How does it fin in your life? T – Time – What is your deadline? What do you have to do each day, week, month to reach your goal? I have put together a worksheet to help you determine your goals for 2018! Get your guide here. Once you’ve gotten your worksheet and filled it in, come back here and let me know what your goal is! I know you can do reach your goal! Top 5 Travel Tips Video!